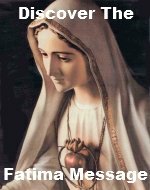 The Third Luminous Mystery Rosary Meditations focus your thoughts on repentance and trust in God as well as the Kingship of Jesus Christ. You really should appreciate the graces you receive in Confession and make use of this sacrament often. Trust in God in all that you do just as Mary did. And finally, enthrone Jesus as King in your heart and be mindful of His Kingship in both your personal and public life. Please add your own meditation(s) on this mystery, The Proclaimation of the Kingdom. By adding your own meditation(s) you are actually building your own web page on our website. You can add a picture and even continue adding meditations. Other people can rank, comment and contribute to your meditation page, plus you can comment on their comments. You can also add to others' meditations. 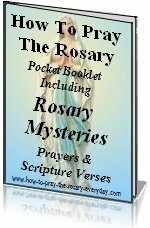 They don't have to be elaborate meditations, but they do have to pertain to the Third Luminous Mystery Rosary Meditations. It's always fascinating to see meditations from the eyes of others and by doing this, it gives others of the Rosary Community new and insightful thoughts to meditate upon while praying the Rosary. IMPORTANT: Please view our Internet Safety page if you are unfamiliar with sharing information on the internet. Please Contribute A Rosary Meditation! Do you have a meditation on this Rosary mystery? Please share it! ...He does not flinch. He just goes on following His Sacred Heart.